Almost everyone reading this post has at one time or another received an electronic or hard copy missive with the field names “Dear <FirstName> <LastName>” or some other such error contained within the text. These mistakes can and will happen, but with the advent of “big data” and the ability for organizations to collect, share, and use formerly disparate data points in a more coordinated fashion, the stakes – both to win and to lose –have been raised. Consider the case of Mike Seay, an Illinois small business owner who received a shocking message in a piece of junk mail from a vendor. 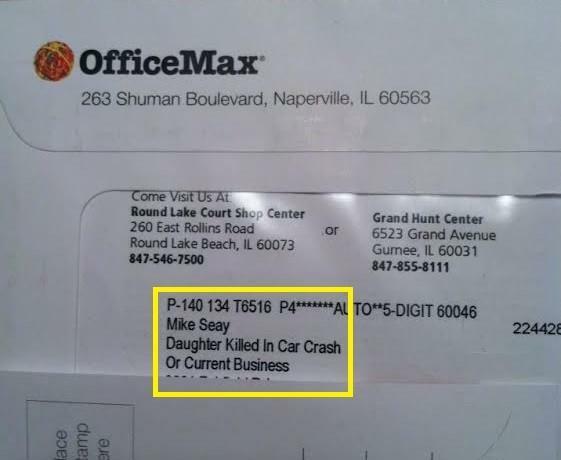 As reported in the Wall Street Journal and elsewhere, Mr. Seay received a letter from Office Max with the line reading “Daughter Killed in Car Crash” under his name in the address line. While there has yet to be a full explanation of exactly where the data came (or why it was collected in the first place), the incident calls into serious question the increasingly widespread practice of collecting, sharing, and aggregating personal data points for the use of individualized marketing and promotion. In the context of associations, it serves as a reminder to be more fully conscious of the data you choose to collect about your members and other constituents, and how you plan to use it. While most associations do not presently engage data brokers to obtain additional information on those in their databases, it may be something that becomes more common in the near future. In fact, it might be a worthwhile aim for your organization to work towards identifying – and better applying – the data already in hand. I would wager that many associations collect and store more data than even they themselves know! Does your association have a data plan in terms of cataloging and using the demographic and other fields in your key databases? If not, the time is nigh to undertake an effort to get to know your data elements, before they possibly work against you.